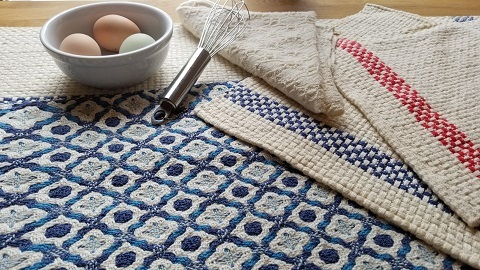 A selection of handwoven table linens. 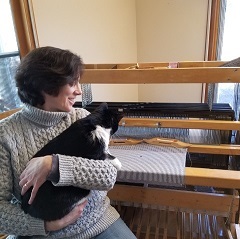 Inspired by the Shaker aesthetic, all of my pieces are designed, handwoven, and finished by me, either at my home in the Shaker Village area of Harvard, MA, or at Western Avenue Studios in Lowell, MA. 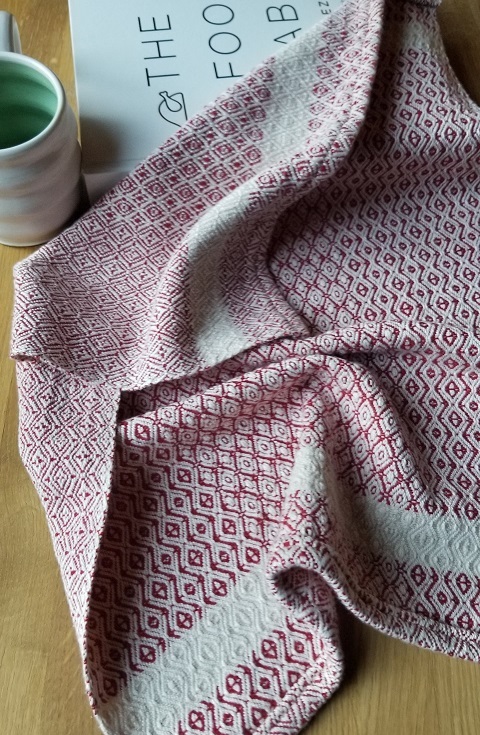 I strive to use ecofriendly materials in all of my textiles, and particularly enjoy working with cotton grown in the United States using sustainable and/or organic farming practices. 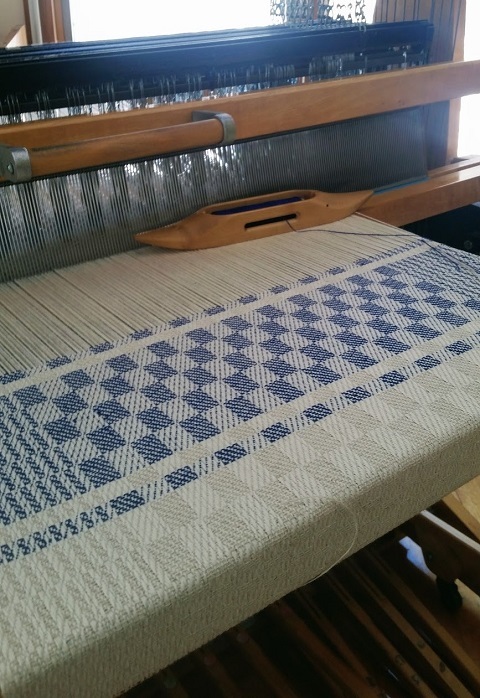 Other favorite fibers include organic cottolin (a 50/50 blend of organic cotton and linen), Tencel, silk and locally spun and dyed wool.